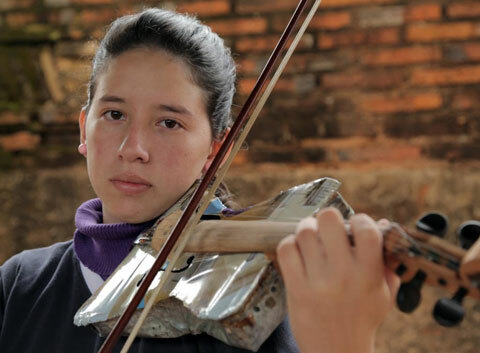 In Cateura, a slum built atop a landfill in Paraguay, young people are discovering the joys of art, music and creativity. They don’t have money to buy expensive instruments — a violin is worth more than a house around in these parts. 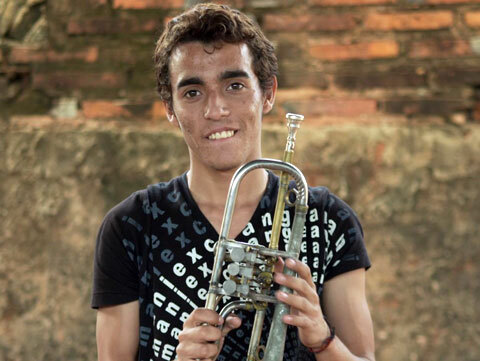 Instead, they have learned to play on instruments skillfully crafted from trash found in the adjacent landfill. Nicolas Gomez, who is known to his peers as “Cola,” builds these violins, cellos, flutes and more in his studio (which he also built). 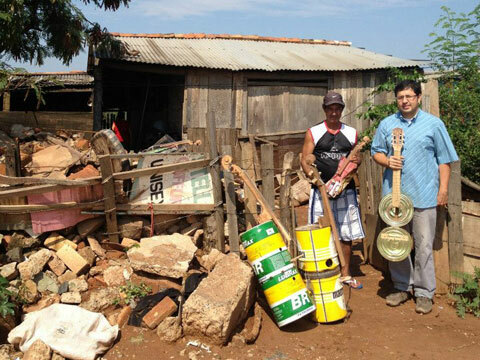 Instrument-maker Nicolas “Cola” Gomez and Favio Chavez, Director of the Orchestra, in Cateura, Paraguay. 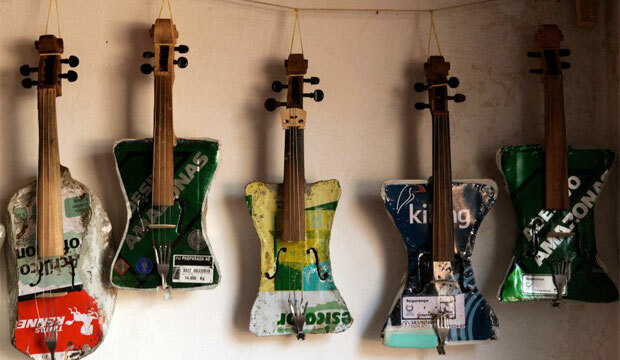 Violins made from recycled landfill trash. 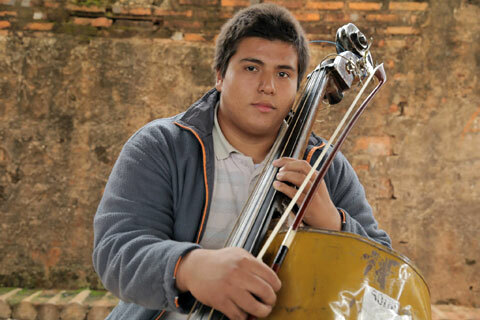 Under the direction of Favio Chavez, these youths have formed an orchestra that has come to be called the “Landfill Harmonic.” This is also the name of an upcoming feature-length documentary about these kids and their remarkable journey into the world of music. This is where the magic starts. 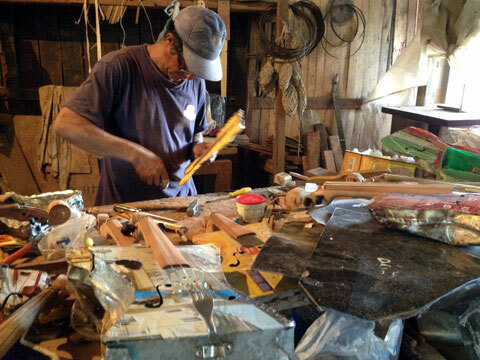 Nicolas Gomez, better known as “Cola,” building a recycled violin in his (also homebuilt) studio in Cateura. Watch the trailer, above, and visit the film’s Facebook page for more information about the release date. I wonder if there’s any way I can buy one of theses instruments? I’m currently looking for a new violin for my Orchestra.